IT'S BACK! 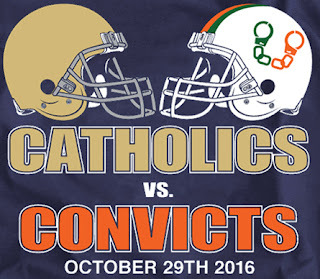 ONE OF THE FIERCEST, MOST HATED RIVALRIES IN ALL OF SPORTS IS BACK THIS FALL! 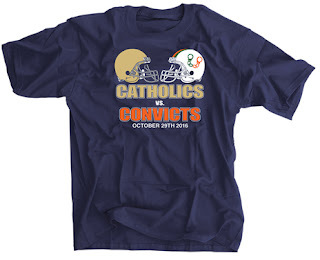 Get the one and only "Catholics vs Convicts" t-shirt here!